This is a wheel built specifically for Native for our Pitbull 180 front tire kits by Performance Machine. This is a wheel built specifically for Native for our Pitbull 180 front tire kits by Performance Machine. We feel that Performance Machine makes thee finest wheels in the industry, bar none! PM forges their own blanks from VIRGIN aluminum unlike their competitors which may be made from recycled materials. PM is also the only manufacturer that physically tests their wheels to insure they are the safest wheels on the market. PM also has the best finish of any wheel manufacturer on the planet from LIFETIME WARRANTED show chrome to platinum contrast cut finishes. PM offers a LIFETIME PLATING WARRANTY to the original purchaser on all their chrome wheels. Matching stock diameter or 13" rotors are available as well as a tire mounted and bead balanced so its ready to install when delivered to your door! See menus below for options. 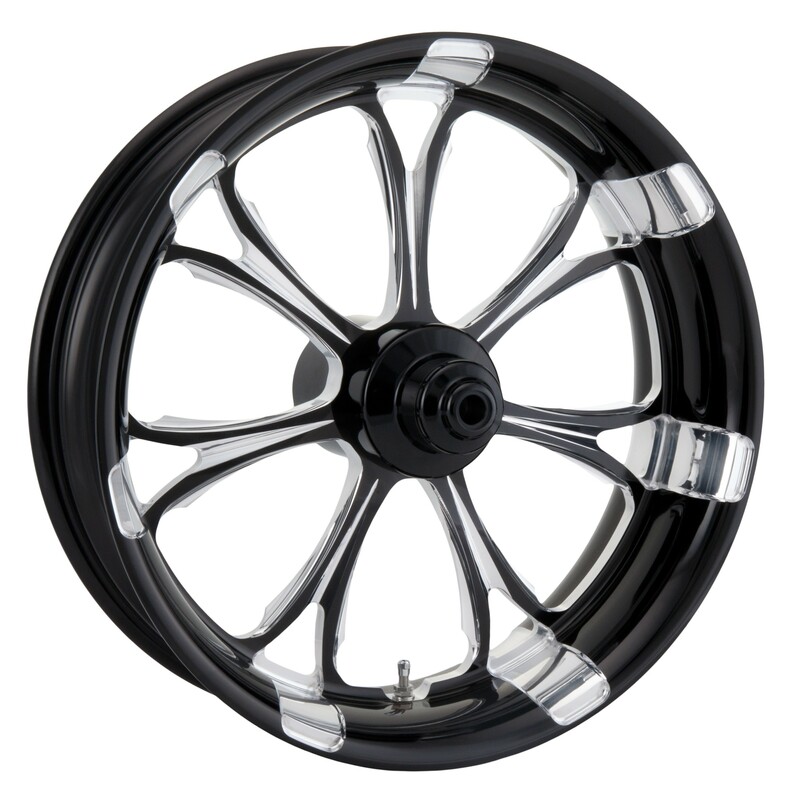 *We usually have this wheel in stock but please call our shop to make sure prior to ordering. Call Sales department for fitment options and pricing. Ask about complete wheel package pricing. We can drop ship anywhere in the United States to your home or business.